Thank you again for your outstanding guidance you provided in the interior finishes of our home. 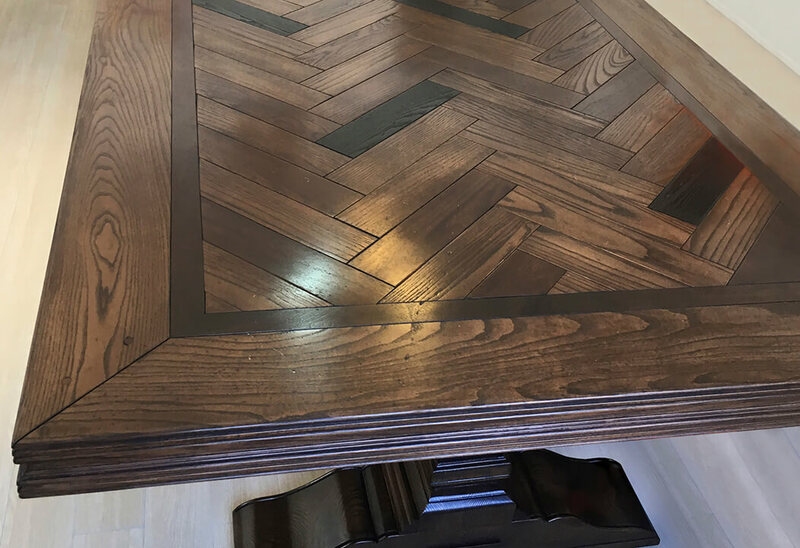 We are thrilled with everything, and so much of the feeling created is attributed to your professional knowledge, and your willingness to do the little extra things which was evidenced in the colour selection of the parquetry floor finish. It really compliments the furniture selection beautifully. 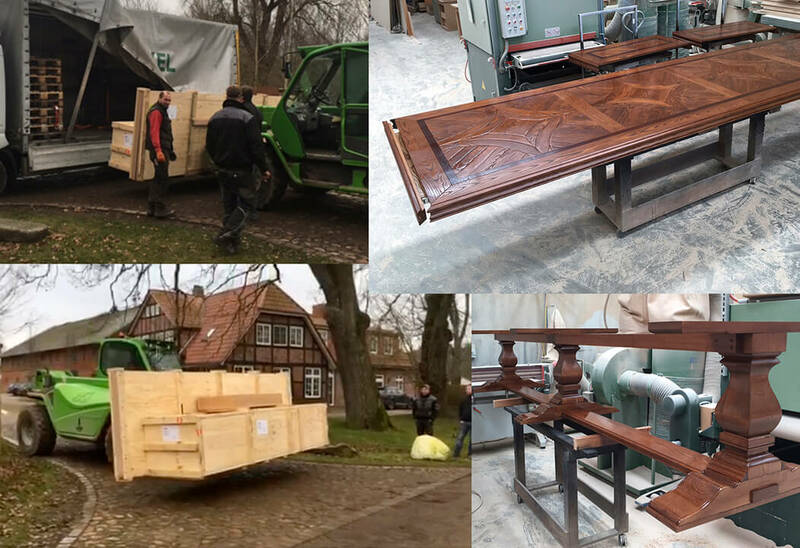 Thanks you so much for the prompt and efficient delivery process of our beautiful table. We love it! Outstanding quality. 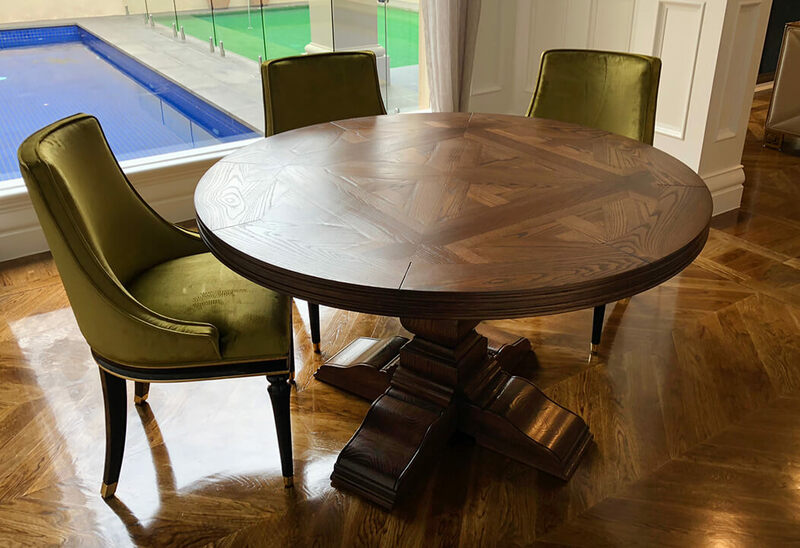 We are absolutely thrilled with the 3 parquetry tables. The craftsmanship is amazing, and everything we were hoping for. 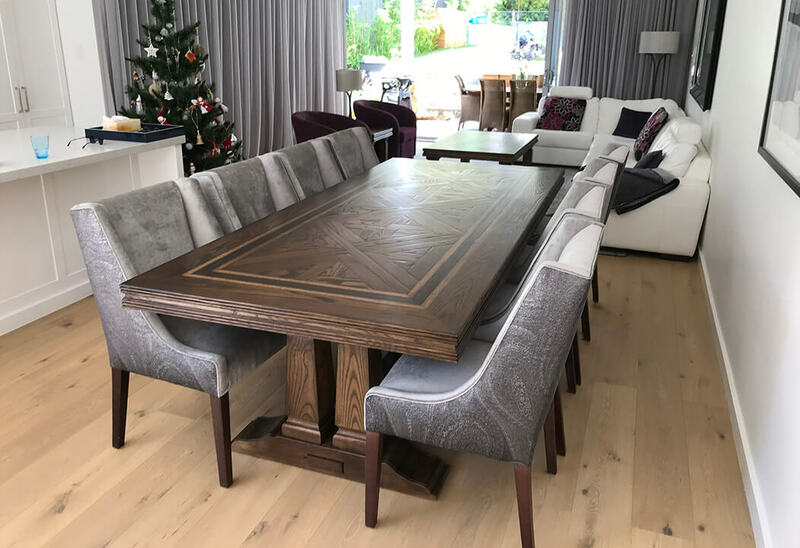 The communication was second to none, and although I was a little worried spending that amount of money on furniture site unseen, once I started the process I was immediately confident that I’d chosen the right company. 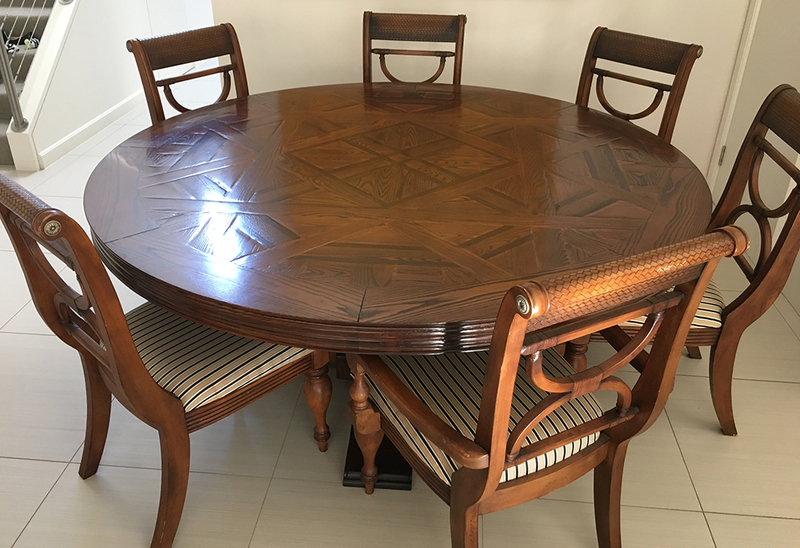 Our table was delivered yesterday and just wanted to take the opportunity to thank you for magnificent end product. Your suggestions and guidance proved to be 100% accurate. I only now realize the value of our initial meeting at the house. We absolutely love it! I also would like to thank you for the way you and your team have treated me and Emma since our first encounter despite our indecisiveness and ignorance. The experience was professional, appropriately personal and nothing but a pleasure. Please extend our gratitude to the whole team and we hope to extend our collection with you in the future. There were a number of challenges in renovating our 1900 Victorian Queen Anne Villa. From the council to the heritage trust, and being respectful of the building during renovation. 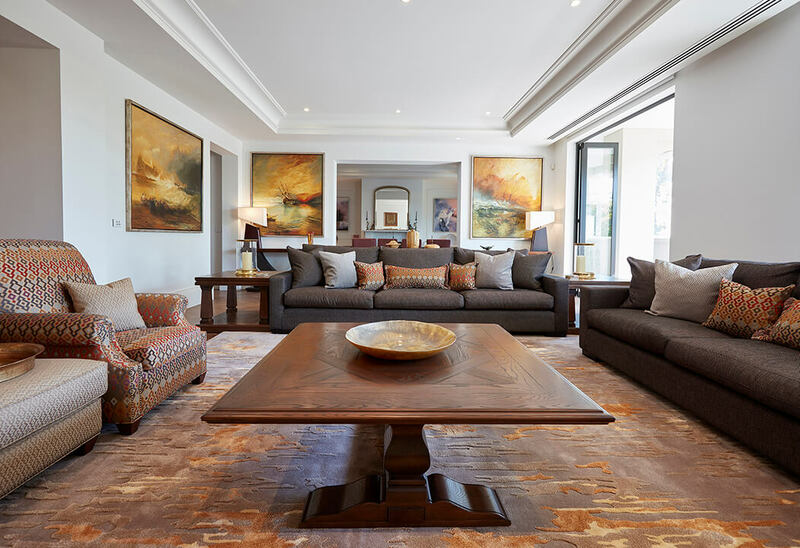 However, perhaps the greatest challenge came with the interior design and sourcing furniture that would do justice to the house and make it a beautiful and practical home. 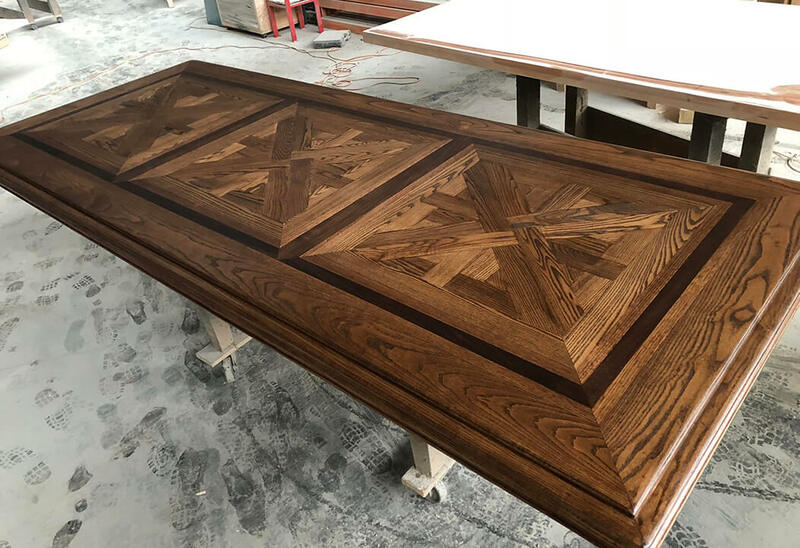 We struggled to find quality and ‘good old fashioning craft-man-ship’; when searching the internet for a parquetry dining table, we came across Mark’s work and were blown away! This prompted a couple of emails and phone calls between Adelaide and Melbourne and soon Mark was designing, crafting, and sourcing items for our whole house. 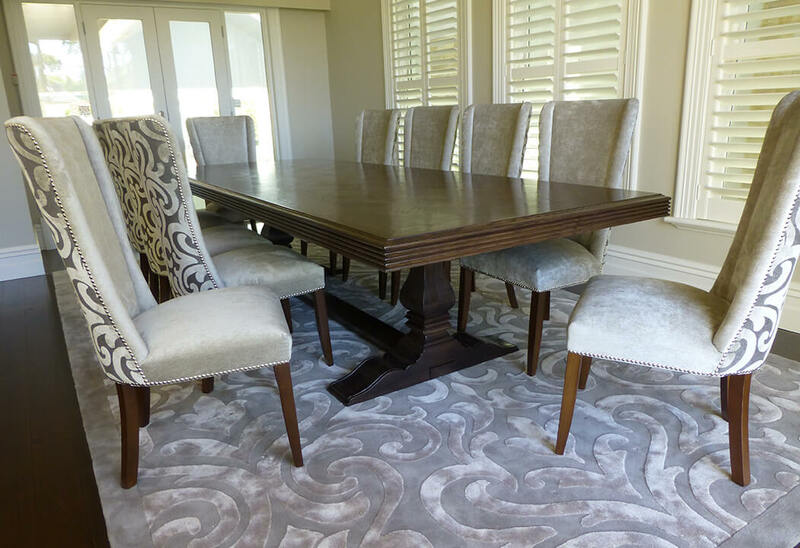 From the first phone call, to delivery and styling of many rooms and over 30 items of furniture, Mark and his team’s professionalism is second to none. 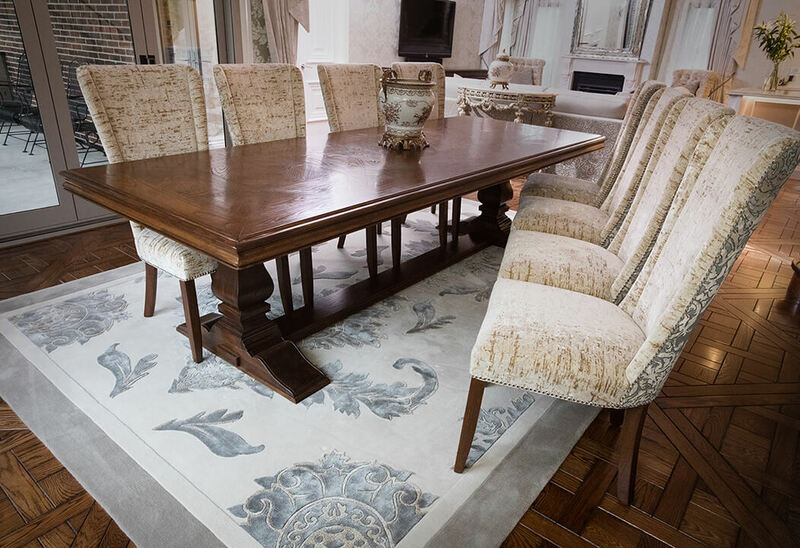 Every piece of furniture looks as if it has been in place for 100 years and the house built around it, rather than the other way around. We knew we could place our complete trust in Timeless Interiors right from the word go, and not only have we not been let down, the finished product has exceeded all expectations. We could not recommend Mark and his team highly enough to anyone; including if you live in a different state – this has not been the slightest of issue. 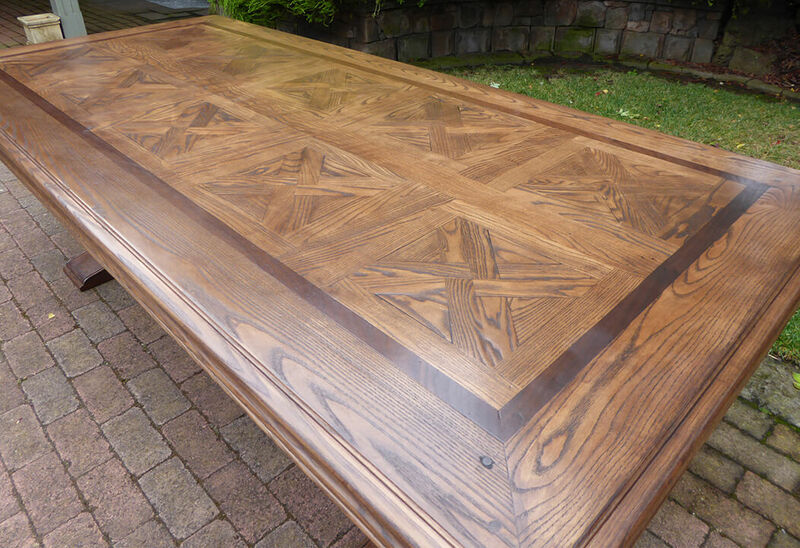 Thank you Mark – you are a true gentleman and exemplary craftsman! 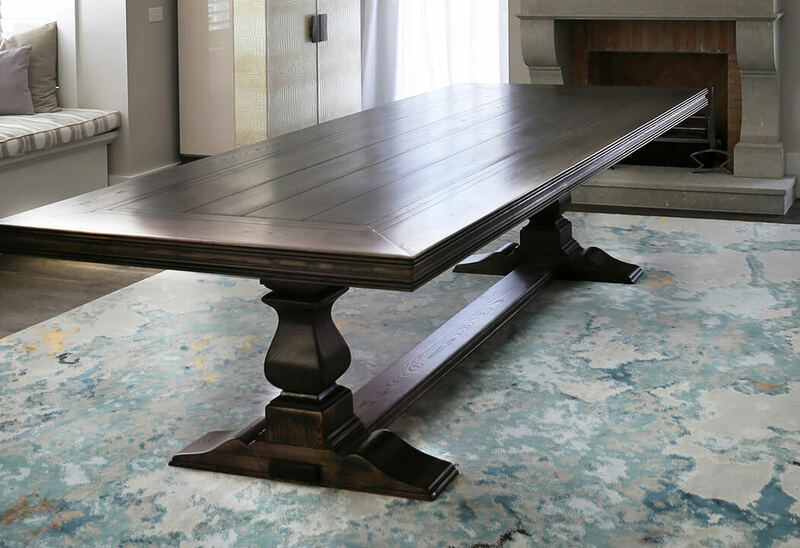 We love the table, coordinating coffee table, sideboard and TV unit created for us by Mark and Timeless Interiors. The brief was to completely furnish the house including window furnishings, floor coverings, feature lighting, mosaic tiling and extensive wallpapering. From the beginning we were impressed with Mark’s ability to completely understand our requirements and to translate those into inspirational designs and colour recommendations. Mark has an innate ability to be able to picture the end result and to take us on that journey with him. The textures and colours of the various fabrics and the flow of the house are brilliant. In fact, visitors remark that it takes their breath away. There is great atmosphere and definite wow factor combined with personal spaces to enjoy and reflect. We are pleased to say that the end result has very much exceeded our expectations. I just wanted to say how thrilled we are with both the tables. 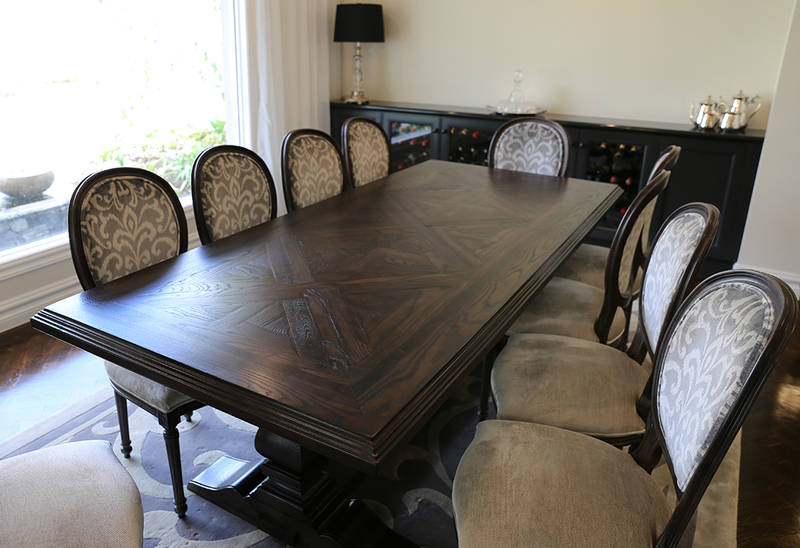 The dining table is simply breathtaking; I can’t wait to see it offset against our new chairs when they arrive. 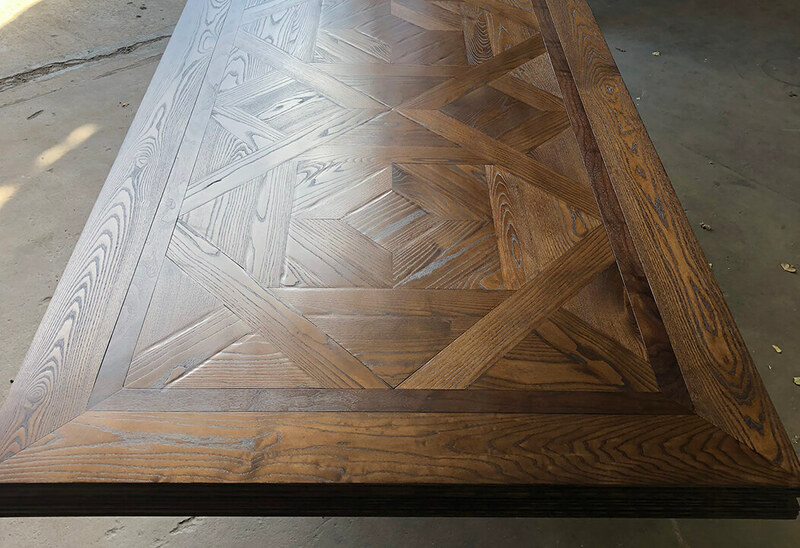 Our refinished meals area table…the small things you did to it have taken it to a completely different level. The stain on both tables is just so beautiful. and everything we were hoping for.